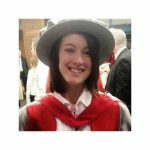 Dr Liz Bates is a Senior Lecturer in Applied Psychology at the University of Cumbria. Her research focuses on intimate partner violence and she is committed to calling for more evidence-based practice in this area. Dr Bates’ PhD research revealed that men and women are equally as likely to perpetrate violence against their partners. The focus of her current research is female perpetration and male victimisation with a view to increasing awareness of these groups.